New laws to clamp down on Twitter trolls are not required, according to the organisation that represents Britain's top cops. 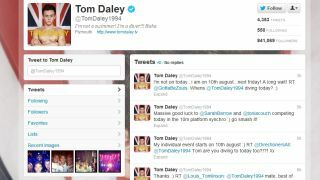 Following this week's incident where Olympic diver Tom Daley received a tweet accusing him of 'letting down' his late father, renewed calls were made for a legal clampdown on online tormentors. The Twitter user, who subsequently apologised, was arrested and cautioned over the hateful tweet, but not charged with any crime. Instead of arming police with new legislation to punish the hatemongers, the Association of Chief Police Officers (ACPO) says it has enough power at its disposal and called on Twitter to resolve the issue itself. ACPO's E-Crime spokesman, Cumbria's chief constable Stuart Hyde said he doesn't want police time wasted through 'frivilous' claims and added that the existing Malicious Communications Act covers enough ground. Speaking on BBC Radio 4 he said: "I think we have got quite a lot of legislation, dating back to the Malicious Communications Acts of 1998 and 2003. There is a lot there that helps us and gives us the power to do stuff. "This is a new technology, a new way of communicating. It has grown exponentially. There hasn't been separate legislation, so we are using legislation that wasn't particularly created for this, but it works reasonably well most of the time." Chief Constable Hyde said celebrities like Blue Peter presenter Helen Skelton quitting the micro-blog should encourage Twitter to do something about the abuse, rather than leaving it to the police to punish offenders. He added: "I think there is a case that if you are going to run it as a commercial organisation, then you have got to allow people to use it safely and securely, and have the processes in place where people are acting in a strange way - and the word troll comes to mind - then you get them off as quickly as possible."